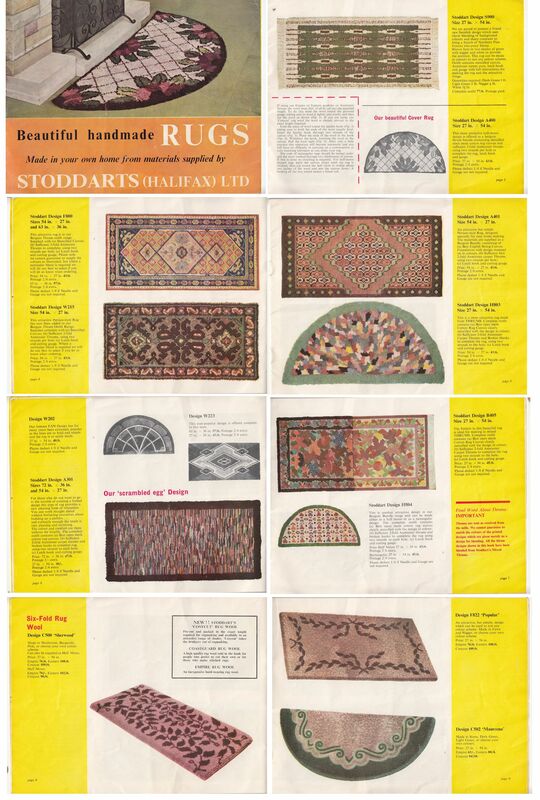 1950s Stoddarts catalogue (Series 2, No 2) with the emphasis on using thrums (tail-ends) from the Axminster carpet industry. 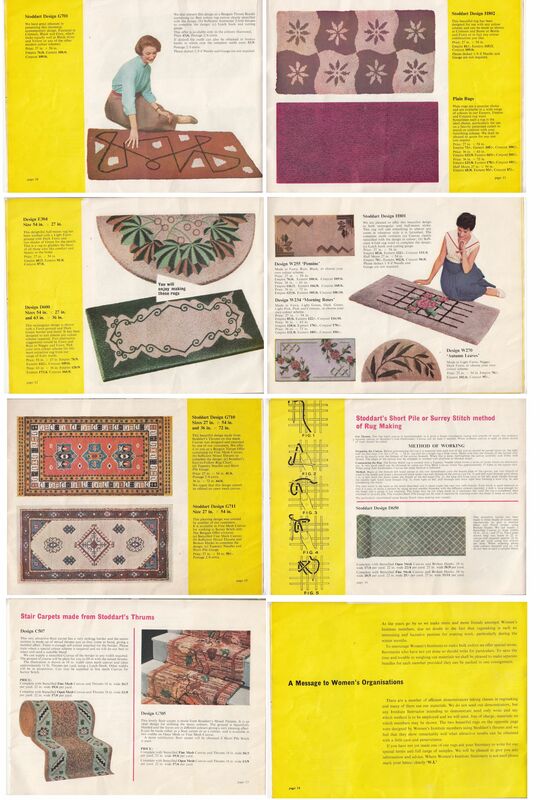 Information on their latch-hooking operation is hard to come by. See Flickr where they can be downloaded at full resolution for your own use.